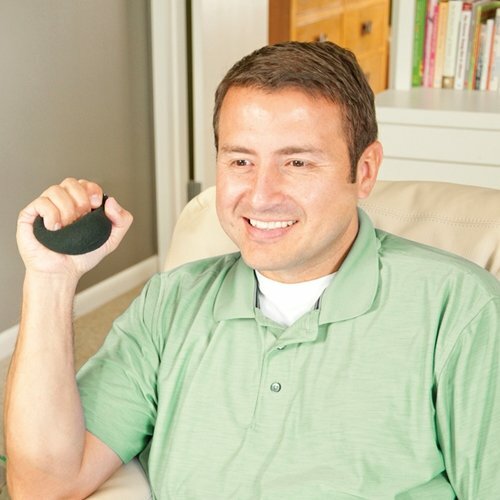 Home / Uncategorized / Do stress balls really work? Stress can take a physical toll on your body. You've probably seen one of those little round stress balls. You might have received it for free with a company's brand splashed on the side or picked one up during a rough week at work. Stress balls are popular, but do they actually help reduce tension? The general consensus is that these toys actually do help in stressful moments. In fact, there are numerous reasons that one of these little balls should be a necessary accessory on your desk. As a human being, you've likely experienced stress at one point or another. From work to school to relationships, there's no shortage of challenges that can cause conflict in daily life. But just because it's normal doesn't mean that this anxiety is harmless. Stress takes a toll not only on your emotional and mental health, but also on your physical well-being. According to Mayo Clinic, stress can physically cause problems such as headaches, an upset stomach, muscle tension, sleep problems and fatigue. If left unchecked, it can also contribute to more serious health problems, such as high blood pressure, diabetes and obesity. So how can you avoid these negative health complications that come from periods of high anxiety? Turns out, a stress ball can help, according to Dr. David Posen, a stress expert and the author of "Is Work Killing You? : A Doctor's Prescription for Treating Workplace Stress." "You've got all this stress energy – your body is in a state of high alert, but there's nowhere for it to go," Posen told The Huffington Post. "When you're stressed, your body tightens up – so a physical release helps to let go of some of that energy… The benefit of squeezing is that it releases some kind of energy – it also induces you to relax." Though squeezing a stress ball is not a long term solution for stress, it can help your body to release tension in the moment. The motion acts as a reminder to relax the muscles that are clenched when you're anxious, which can help avoid complications like headaches or pain that accompany long periods of tensing. Stress from a variety of sources can take a toll on your mental, physical and emotional well-being. While the aptly-named stress ball can help release anxiety, that's not the only benefit offered by these simple toys. For example, playing with a stress ball can help to manage and heal scar tissue in your hands. It can also strengthen your hands if you're rehabilitating from a recent surgery. Stress balls additionally offer the potential to increase concentration. According to a study of a group of sixth-graders by published in the Journal of At-Risk Issues, the students who used a stress ball in class were less distracted. While you can find stress balls in most any size, shape or color, why settle for any less than a product that's specifically designed with your comfort in mind?The IMAK® ERGO Stress Ball's ergoBeads provide a gentle massage while your fingers are strengthened and stretched, providing stress relief and other benefits in the process.